Includes: Travel Bag and Wrist Strap; Folded Height: 11.5 in. 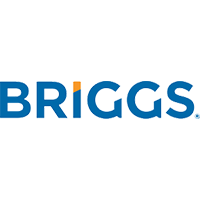 ; Adjustable Height: 32 - 37 in. ; Weight: 13.7 oz. ; Weight Capacity: 264 lb. 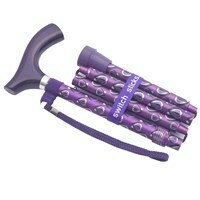 You will stand out from the crowd when you walk around with an exquisitely handsome Switch Sticks Folding Walking Stick. Functionality never looked so good. Tired of always being seen with the same sad-looking, pretty-as-a-piece-of-plumbing-pipe, old-fogey-style cane? Life's not over just because you need a little help to get around. Start walking around with the walking stick cane that will put a smile on your face. This fashionable folding cane is as sturdy as any one-piece non-folding cane, but infinitely more convenient because of its portability. The Switch Sticks Walking Stick folds in seconds and virtually assembles itself even faster. With the push of a button and a twist of a locking collar, it is easily adjustable from 32 inches to 37 inches in height. Despite its versatility and convenience, its high-quality aluminum construction is capable of supporting 264 pounds. And the strong elastic cord, in the core of the cane's four sections, is extremely durable in order to withstand countless uses. When the Switch Sticks Folding Cane is collapsed into four sections, it measures only 11.5 inches and weighs a mere 13.7 ounces. Pop it into its included nylon travel bag and you're good to go. Going on a trip and unsure whether you'll want your cane with you? 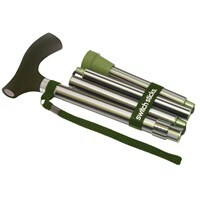 Stop thinking about it and just toss a Switch Sticks Folding Walking Stick in your trunk, backpack, or suitcase. The peace of mind in knowing the help of a walking support is always with you, in case you need it, is priceless. 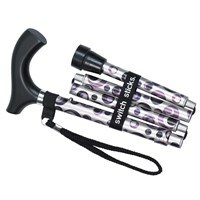 When you transport the Switch Stick Folding Cane, the included nylon carrying case will prove useful to prevent the tip of the cane from gettng the inside of your suitcase, pocketbook, briefcase, or backpack dirty. Also included is a handy hook-and-loop tie-down strap to secure the cane when collapsed to prevent the powerful elastic from reassembling the walking stick. Even if you don't require a cane for support to assist your mobility, this attractively stylish walking stick practically begs to go out on the town with you. Collect as many Switch Sticks as you choose to fit your fashion, mood, personality, and style from a variety of attractive designs.